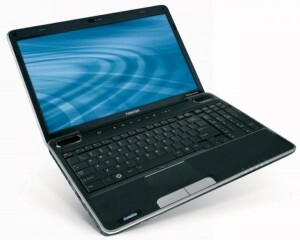 Toshiba satellite A500 is desinged brilliantly.So you can live brilliantly. The ultimate lifestyle laptop, our satellite a500 laptop series not only delivers the high-definition entertainment you demaned,but the high-impact laptop performance you need to manage every hour of every day. Together,a stunning 16″ diagonal TruBrite high-definition display,premium sound system and built-in DVD burner transform your laptop into a movie theater, concert hall or gaming console.And feathertouch CD/DVD control buttons, advanced A/V ports plus serious sharing options comlete the multimedia package. with muscular dual-core processing power, along with massive memory and storage, you won’t think twice about using today’s popular software to work, study, stay organized, or have fun with your growing passion for multimedia. The Satellite A500 laptops deliver performance you can count on.